If you’ve ever sat down and tried to figure out how to put your business online, you’ve probably come across thousands of different ways to set up a website. There are self-hosted options like WordPress, Drupal, and Magento along with a plethora of proprietary platforms from personal websites on Wix to massive online stores on BigCommerce. How are you ever going to choose? You can always hire a consultant but never underestimate someone’s ability to make suggestions based on their own needs instead of yours. I’m going to walk through some of the major content and E-Commerce platforms and try to help you understand the difference before you get on your next phone call with a developer ready to sell. What exactly is a self-hosted platform? Well, put simply, a self-hosted platform is a web application you can either buy or download free that lives on a web server that you own or are leasing. There are two categories here. There are compiled web applications which are generally considered closed source. These are platforms that someone’s sold you that run on your server but you or your developers have no access to change the code. All customization must be done by the company you purchased the software from or through administrative tools they provide. If that company goes under, you may have a web application you can no longer support. This is what I would consider the worst of both worlds. You have a web app that you have to manage while still dealing with a single proprietary vendor. So why am I making such a big deal about this? Well, not everything you can edit and manage yourself is actually “open source”. Some of the options we’re going to discuss are closed source(owned by a company) but are things that still have the code available for you to manage yourself if you choose to. Before we go on, I would like to formally introduce PHP. According to Gerard Millares, over 75% of the top web sites globally use PHP as their server-side language. PHP is the primary language behind products like WordPress, which powers 74.6 Million websites and Magento, one of the fastest growing E-Commerce platforms on the market. Additionally, PHP is used by Internet leaders like Facebook and Wikipedia. What makes PHP so powerful is that it’s a scripted language. Unlike an exe on your computer, PHP is present in plain text and is interpreted by the web server instead of being compiled for deployment. That means that any application written in PHP that hasn’t been obfuscated can be read & modified in real time by a developer. While there are pro’s and cons to interpreted languages, the important thing to note now is that any application developed in PHP can be maintained by your own development staff without involving a vendor. Having a PHP application is kind of like owning a nice dependable Ford. You can work on it, your friend knows how to work on it, and you can find another fifteen mechanics in a ten mile radius who can help you if it breaks. Now, without further ado, let’s get into talking about the actual platforms. WordPress is the unchallenged king of the internet content world. Powering over 74.6 million websites, it’s running a solid 25% of the modern web. The fact that one in every four websites on the planet runs WordPress is a testament to its stability, security, and ease of use. WordPress is a highly extendable platform. If there’s something you want to do, from simple forms to E-Commerce, there’s a decent chance somebody has written a plugin for it. WordPress is easy to upgrade. WordPress upgrades generally “just work” instead of requiring hundreds or thousands of dollars in development fees and multiple weeks of preparations. In WordPress, you hit a button and you’ve updated your site to the latest version. WordPress is cheap to maintain. In general, because of its overall ease of use, hiring a developer for WordPress is much less expensive than hiring one for most other platforms. There are truly massive numbers of people who know how to work with the platform and are comfortable developing on it. You’re still going to pay a premium for top developers but that premium will be much lower than you might expect. WordPress is cheap to host. Continuing with the cheap theme, WordPress is very cheap to host. A good WordPress host could cost you as little as $20.00/month with cheaper options all the way down to $5.00/month. Even with massive amounts of traffic, you’re unlikely to get past the hundreds when talking about WordPress hosting. Large Scale E-Commerce – If you’re intending on hosting hundreds or thousands of products on your website, WordPress may not be the best open for you. While plugins like WooCommerce allow E-Commerce functionality its not the platform’s primary strong suite. WordPress is perfect for sites that want a primarily informational website with some products, not a site that needs to be primarily products with some information. Recurring Billing/Support – If you intend to build your website around the idea of recurring billing or want a support structure built in, I would recommend looking at other platforms. This kind of gets into a “What WordPress is and what it’s not” discussion. Do use WordPress for all of your front-end website content. Don’t attempt to turn WordPress into a billing system, a support system, or a full scale web store. There are plugins available for all of these things but there’s also a time and a place for a plugin v.s using a different system designed for what you’re trying to do. Handles large numbers of products well – Magento is surprisingly good at handling anywhere from 500 to 15,000 products quite well. The platform is developed with catalog management in mind and it clearly shows. It has highly configurable products – Out of the box, Magento gives you the ability to heavily configure products. Things like bundles, drop downs, multi-sku products, downloadable products, and more are there right out of the box. No plugins, no coding, it’s just there and it works. Supports most payment & shipping providers – Out of the box, Magento supports most of the major payment & shipping providers. Generally Configurable – Building on the last two points, just about everything is configurable. Magento is the fastest growing E-Commerce platform for a reason. It won’t be pretty but, if you were so inclined, you could launch a functional E-Commerce site from the ground up without touching a line of code. I don’t recommend it, but it can be done. Magento is expensive to maintain. I can’t stress this point enough. Magento is a big complex system. The fact that it offers so much out of the box also makes it a bit of a pain to work on from a development standpoint. Most things are configurable but, if you need it to do something that’s not configurable, writing the code can take an exceptionally long time. That translates into higher costs for the business. If you have to have major functionality that Magento doesn’t have, and you can’t find a plugin for it, be prepared to shell out a few thousand dollars, at minimum, for the modification. Magento is expensive to host. In the modern web where speed is a ranking factor, going cheap on hosting no longer makes sense. It’s possible to find relatively fast Magento hosting options as low as $25.00/month but once you start to get popular, expect your monthly hosting bill to be several hundred dollars. Doesn’t handle REALLY large numbers of products well. No, I’m not contradicting myself here. Magento is awesome up to that 15,000 product mark but you’re going to start seeing performance problems when you go higher than that. It can be done but, if you’re intending on launching a 50,000 product store, you may want to budget in a good Engineering team and some very high-end hosting to ensure the site actually works properly. Less vendor lock in – There are thousands of companies comfortable working with both of these platforms and many others. If you decide you don’t like your developer, designer, or hosting company, you’re free to pack up and leave. Using a self-hosted platform, you are in full control of who you choose to work with. Extendability – Both Magento & WordPress are written in PHP and are extendable platforms. What that means to you is that they have the ability to be modified beyond their default capabilities if you’re willing to pay someone to make those modifications. This doesn’t sound that important until you get into a situation where you need your website to do something that’s a little out of the ordinary. With an editable self-hosted platform, you can pay someone to build the functionality you need. Using a cloud based service(which we’ll cover next), you’re stuck with the features they’re willing to give you. Easy to Learn ­ By their nature, popular self-hosted platforms tend to have vibrant communities built around them because they present business opportunities for external vendors. Books, videos, and free tutorials are a few clicks away on the web. The cons of self-hosted options can be grouped into one major item, you have to manage it. If there’s a new security patch or upgrade, you or your developer has to apply it. If it breaks, you have to pay someone to fix it. If your hosting isn’t quite fast enough, it’s up to you to go on the hunt to find something different. It’s not quite as bleak as it sounds though. There are plenty of awesome developers and web hosts who can help guide you through some of the challenges of running a website. My only advice is to go in with your eyes wide open and understand that you will need to have these people around to help make a self-hosted site a success. SAAS stands for Software as a Service and basically means any piece of software you use on the web that you’re not responsible for managing or maintaining. Think of things like Gmail and Facebook. You don’t have to maintain the software for these services. They’re something you just log into and use. There are plenty of E-Commerce options that fall into the same category. Let’s explore a few. Wix(www.wix.com) starts off at $10.00/month for their cheapest unbranded package and presents you with a series of templates and a drag-and-drop interface to build a website yourself. If all you need is a basic page on the internet to post your business name, phone number, and some other basic info, look no further. Wix is probably the cheapest easiest way to cross off the “Have a website” checkbox for your business. That being said, Wix isn’t going to do all that much for you as far as content or products. If you want to build an industry leading blog or E-Commerce store, Wix isn’t the way to go. BigCommerce(https://www.bigcommerce.com) is a SAAS solution for E-Commerce providers that’s designed to scale. Much like Wix, it offers a site builder to create your site without coding experience and is a relatively easy way to get a website with an expandable product catalog up on the web. Plans start at $29.00/month and span upwards to $199.00/month before offering the option to call for an Enterprise package. If your goal is to sell online without managing your platform, BigCommerce might just be the best way to go. Wait, didn’t we just cover WordPress under self-hosted platforms? Well, yes, let me explain. WordPress(www.wordpress.org) is an amazing open-source platform you can download and run anywhere. WordPress.com is a SAAS provider that will give you a WordPress website in an environment that you aren’t responsible for managing. For as low as $2.99/month, you’ll have most of the benefits of the most popular CMS in the world without the hassle of figuring out how to install and support it. Using wordpress.com, you’ll lose some of your ability to customize but it’s one option to simplify your blogging experience. So the upsides of SAAS solutions are pretty obvious. It’s a platform that allows you to log in and (mostly) easily build a website without paying for expensive developers to build it for you. Much like your favorite online services, you log in and it just works. So why wouldn’t you want to go SAAS? Vendor Lock In – Simply put, once you decide on an SAAS vendor, you’re stuck. If you decide you don’t like the customer service somewhere like BigCommerce or they suddenly make all packages $1,000/month, you can’t just pick up your site and leave. They ultimately own your data and have full control of how your website works. If they decide to take away features you like or change the way something works, there’s nothing you can do about it. You can always go with another provider but you’re going to have to re-build the website you’ve put so much time and effort into. Feature Availability – If you’re going with a self hosted platform like Magento or the self hosted version of WordPress, you have the capability to hire a developer and have them build out absolutely any functionality you need to run your business. An example here; If you wanted a feature that would allow you to merge customer accounts and none of the platforms we’ve covered had that feature, you have no way to implement that with a SAAS provider without putting in a feature request, waiting, and hoping they give it to you. In the self-hosted world, you can hire a developer and have those features built. In the SAAS world, you get the features they decide to give you. SAAS solutions can be an excellent way to run a business more cheaply than hiring a vendor to build a website for you but using one of these products is a long term commitment to both the company and the feature set. If you’re just getting started with just a few dollars to spend, using a SAAS vendor can be a quick & easy way to get your first site up and running without investing in something more easily customized. Both options have a time and a place to be used. My goal with this chapter isn’t to push you in one way or the other but to give you a good idea of what’s available when it comes time to make your decision. So, I don’t do too many reviews but this one really stood out. I’ve been a long time user of a heavily upgraded 15″ Asus K55A which served me well. Unfortunately, the sides of my beloved Asus were beginning to look like an accordion when it was picked up and the screen was starting to flicker any time it got too humid outside, but I digress. I’ve been out of the laptop market for a while and most of the new inventory seems cheap, flimsy, and lacking in the essential features I look for in a laptop. I don’t really care if something has 16GB of RAM and an i7 if it seems like it’s going to fall apart. This is a laptop, it’s meant to be portable and rugged, your companion wherever life takes you. After several weeks of research, I finally settled on the Lenovo ThinkPad Ultrabook Yoga 14. Without further ado, let me jump into why. If you’re the kind of person who needs a little raw power in a laptop, the ThinkPad definitely has it. It’s no gaming laptop, if that’s what you’re into, but you’ll start off with 8GB of RAM, an i5 processor, and a 256GB SSD. For a business user and the average developer/admin/techie, that’s going to be all the power you ever need. It does come with the option to upgrade to 16GB of RAM but I don’t see ever really using that. That’s what my desktop is for. This is the first category the ThinkPad really gets a pat on the back. This is a small, dense, machine that feels incredibly durable. The overall build quality is superb, far over what I’m seeing from most vendors. Finding a laptop that actually works well with Linux can still be a bit of a challenge but the newer ThinkPads really power through it. I’m currently running Fedora 24 and everything just works. The keyboard volume controls, the touch screen(including on-screen keyboard) wireless, audio, and even the tap-to-click touch-pad work flawlessly out of the box. This machine may not have been built for Linux but they’ve certainly kept it in mind. One of the things that hooked me on this laptop is the quality of the keyboard and typing experience. In a world where everything is focused on graphics and bendy screens, it’s amazing just how many laptops sacrifice the basic typing experience. Lenovo took the time to make the keyboard a stunningly high quality part of the ThinkPad line. The Yoga 14 comes with a comfortable keyboard with each key contoured to your fingertips. The keys are responsive with a good amount of travel and not too much noise if you’re screencasting or doing other recording with your computer in-play. As a final point, it’s hard not to talk about price. The ThinkPad Yoga 14 is currently selling for about $800.00 which is actually quite a bit less than machines of similar quality for the resources. In short, you’re going to get a lot more bang for your buck with this machine than you are just about anywhere else. Starting a business is perhaps one of the most difficult things possible. The reason for this being all the backend grunt work that goes behind getting it up and running. Hiring staff costs insane amounts of money, and doing certain jobs yourself takes way too much time to learn and perfect. That’s why keeping your sanity by outsourcing certain jobs plays such a pivotal role in the way things get done both cheaply and efficiently. You’d be pleasantly surprised as to how many of your favorite best-known companies got their startup idea up and running, thanks in large part to outsourcing. These businesses were savvy enough to acquire the services of freelancers in an attempt to save themselves from unnecessarily burning through large amounts of capital. 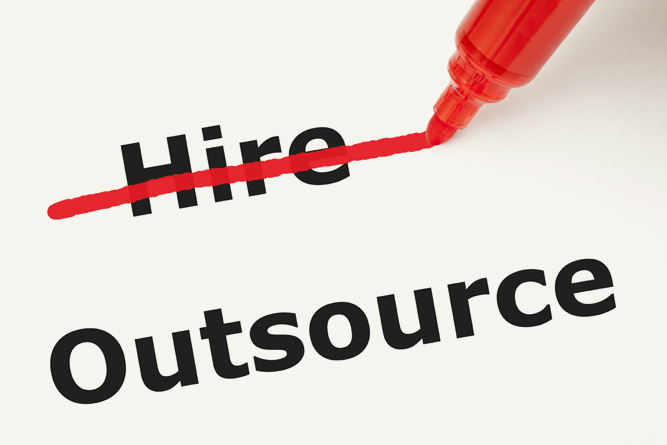 So without further hesitation, here are 15 successful startups built on outsourcing. Slack: This is probably the most popular business communication tool out right now. Just about everyone who works remotely or within a corporate setting uses Slack. The company used outsourcing to build out its platform in the early days. Now it is being valued at around $3 billion. Skype: Similar to thousands or millions of businesses operating today, they used a team of foreign developers based in Estonia. This allowed the company to help build out their business. As a result, the company grew and became an industry leader in VOIP (Voice-over-IP) communication services. Later the company would be acquired by Microsoft for several billion dollars. Basecamp: The same kind of business savvy when it comes to saving money by outsourcing worked for Basecamp, a technology leader. Github: Before the company started helping people build software, they used numerous folks who completed development working remotely from home. Not to mention, one of the founders of the company was hired as a consultant on an outsourcing basis. Klout: To help get its technology off the ground, the company relied on many outsourced developers to get things where it needed to be before it launched. Now Klout is one of the leaders in helping people who want to be great at social media. Alibaba: Alibaba is the biggest global marketplace you can access online. However, what people don’t know is the company initially outsourced its development to a firm in the U.S. in its beginning days. At the time, overseas development talent was still in short supply and the U.S. had the skills Alibaba needed to compete with e-commerce giants like eBay and did it all behind the Chinese internet restrictions. Outsourcing development to contractors can provide affordable talent to a startup when it needs it the most. SeatGeek: This company found a considerable cost benefit to outsourcing specific tasks to talent in other countries. That helped them build their infrastructure quicker at less cost than hiring in-house staff. The founder Jack Groetzinger has publicly stated how he’s a firm believer in the power of outsourcing in the early stages. AppSumo: The company has used many freelancers in various fields, including marketing, content and IT to grow its business. AppSumo is proud of the fact that it was started with just a modest 50 bucks. Crazy, right? Staff.com: Earns its money as a company that offers outsourced talent and freelancers for other organizations. Staff.com utilized a similar model like many of the companies on this list in growing from a start-up into a globally successful business. UpWork: Isn’t it ironic that a company that specializes in crowdsourced work was also built on the same principles? Well, that’s the beginnings of how UpWork started, as they were built by contractors. Most of the company’s engineering staff is comprised of talent they hired off their own ODesk marketplace. Fab.com: This company’s e-commerce platform was built by using a software development firm in India. Over time, Fab.com saw that the site’s needs were more robust and, as a result, purchased the India firm. The company succeeded in its outsourcing efforts in large part due to top-level execs’ skill at managing the outsourcing process. Groove: Before being acquired by Microsoft, this SaaS (software-as-a-service) company made the decision to outsource the technical aspects of growing its business through a firm. Thus, allowing for the company to save money it would’ve otherwise spent on hiring a full-time staff. Opera: This web browser was strapped for cash, so paying for top notch developers was out of the equation. Instead, the company made the smart decision to hire developers in other countries to implement its platform. Gliffy: Way before Gliffy was able help professionals create UML diagrams, floor plans, Venn diagrams, flowcharts and various other kinds of diagrams online, it had to be extremely resourceful with limited funds. As a result, the company relied on outsourcing for specific aspects of its technology development. Mailburn: These guys made the calculated decision to partner up with an outsourced service provider. This allowed for the company to build its business communication platform with backward compatibility with email. We hope you enjoyed this list of successful startups that defied the odds and became leaders of their industry using outsourcing development as a key tool. Be sure to check out our outsourcing services here.